This is a sponsored conversation written by me on behalf of Nature Valley. The opinions and text are all mine. 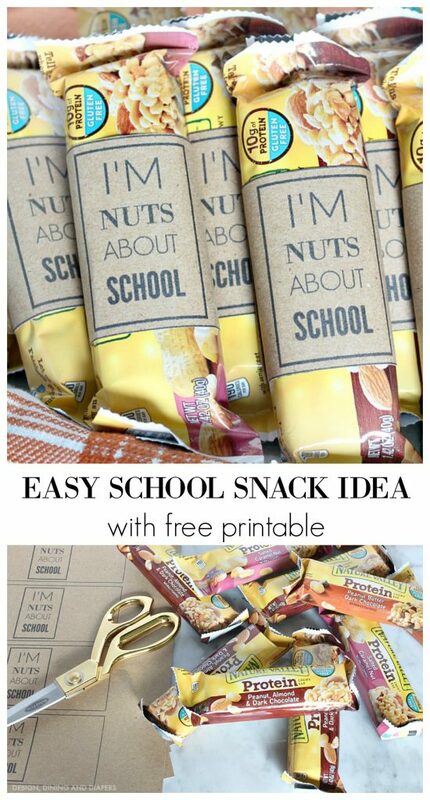 My oldest is in Pre-K this year and we have snack duty every month for the entire class. Every time it’s our turn I am stumped at what to bring. Our only requirement is that it has to be store bought. This age is all about having fun while learning so I decided to dress up a store bought snack and add a little surprise to snack time. If you are in the same boat as me, you are in luck because I’m including a free printable below so you can make your own too! 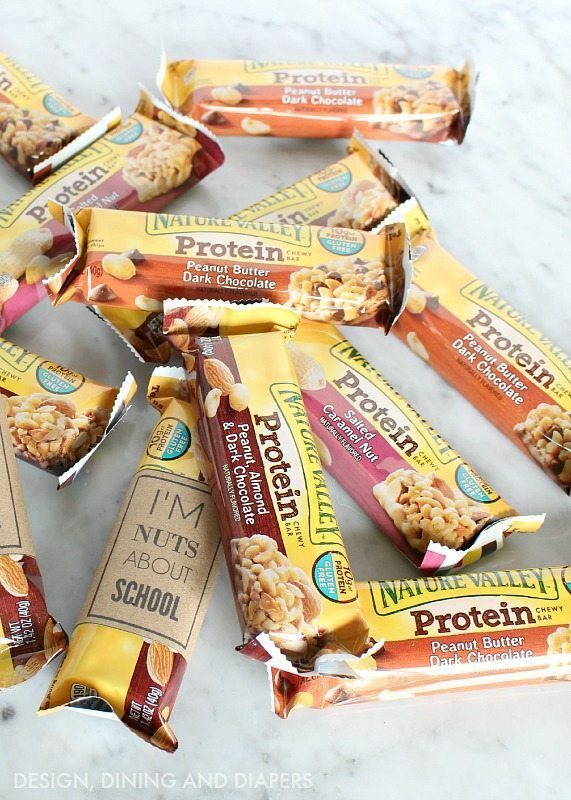 These Nature Valley Gluten Free Nut & Protein Bars make a perfect snack for a group of 4 and 5 year olds (not to mention, this GF momma). 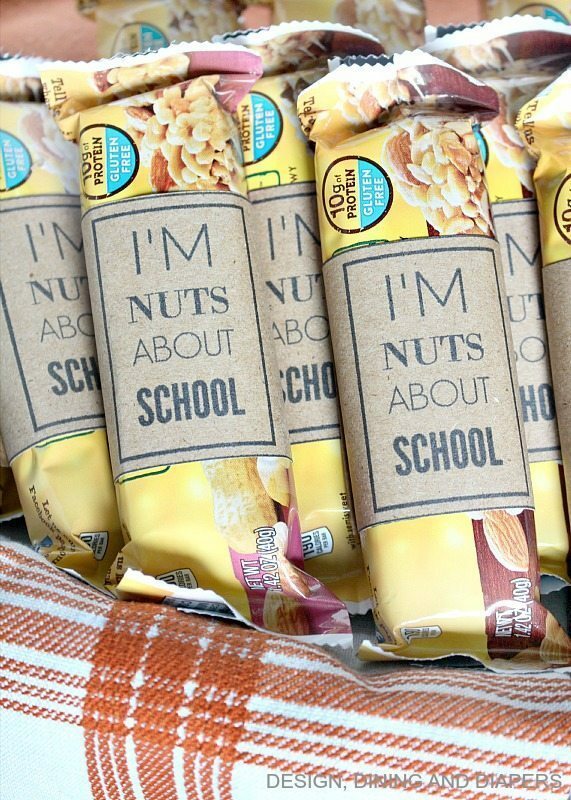 I decided to add my own little wrapper that says “I’m Nuts About School”. Get it?! The protein bars come in three different flavors, Peanut Butter Dark Chocolate, Salted Carmel Nut, and Peanut/Almond Dark Chocolate. Yum! Some of my absolute favorite combos. I printed my wrappers on Adhesive Kraft Paper . You don’t have to own a Silhouette to use it. I simply placed the paper in my normal printer and then cut out each wrapper. Once all the labels are cut, peel off the backing and wrap the sticker around each bar! 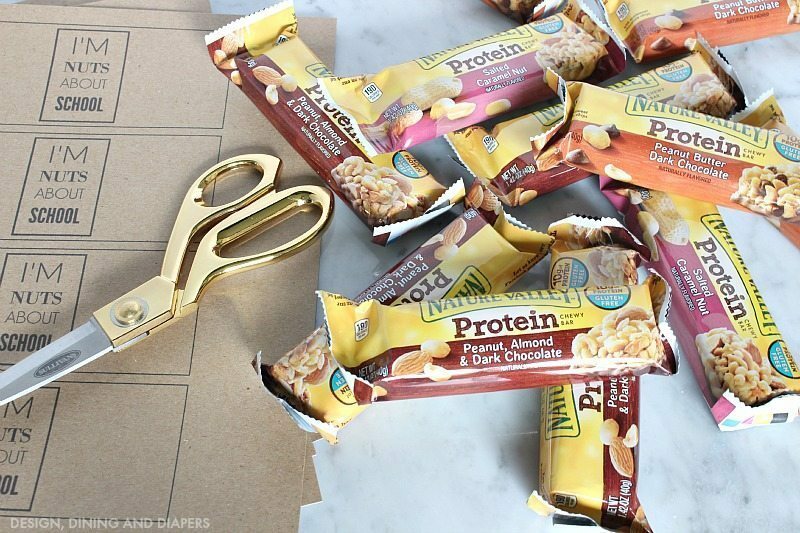 Post a photo showing a Nature Valley gluten free bar and another food item, object or activity that you feel pairs well with the bar & include the hashtag: #NVPerfectPairSweepstakes in your post for a chance to win one of 2 $500 Visa Gift Cards!!! 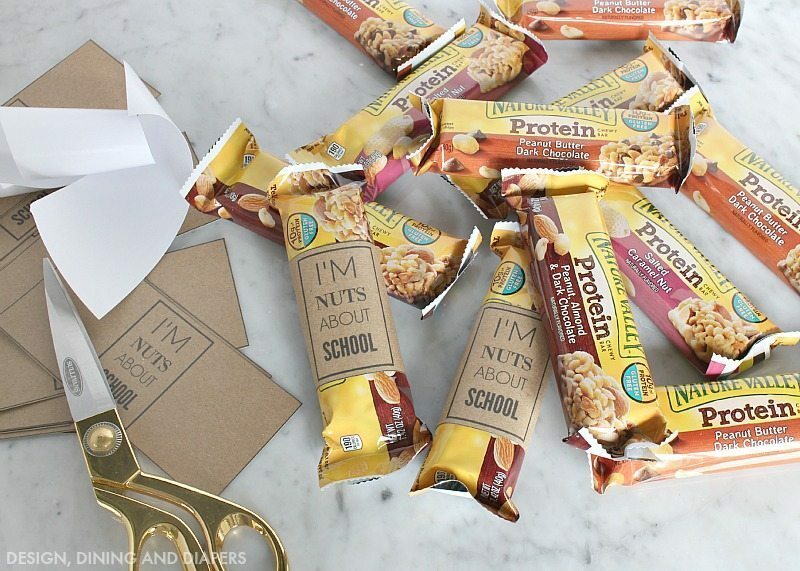 These are adorable… and we love Nature Valley bars at our house! Our pre-school is really small and every year they do a survey to see if anyone has peanut allergies. If no one does than they allow peanut products. So far we’ve lucked out with no major allergies at the school!